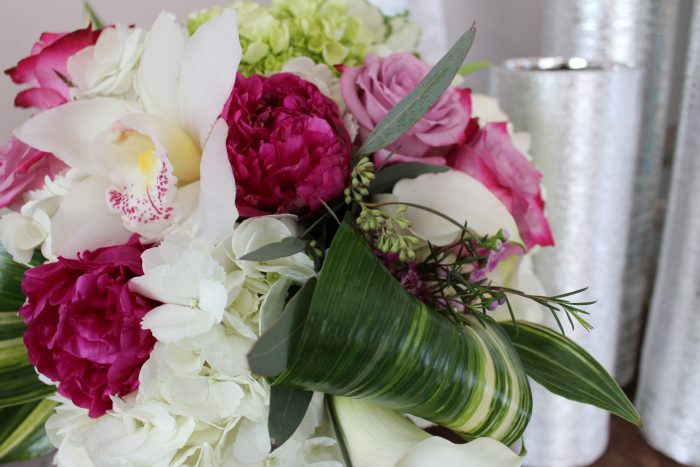 Modern, dense grouping of elegant flowers with sleek foliage creatively arranged in a novelty, colored vase. 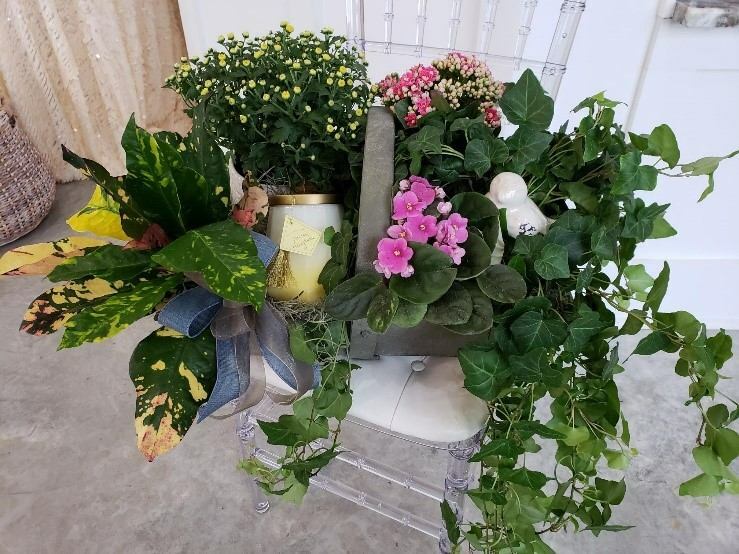 *Picture is an example of styling, actual flowers and colors used may vary. 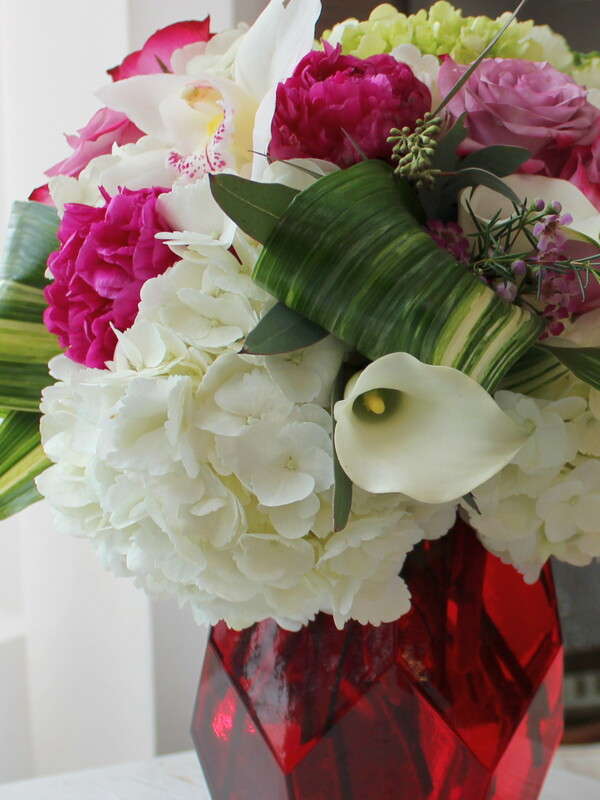 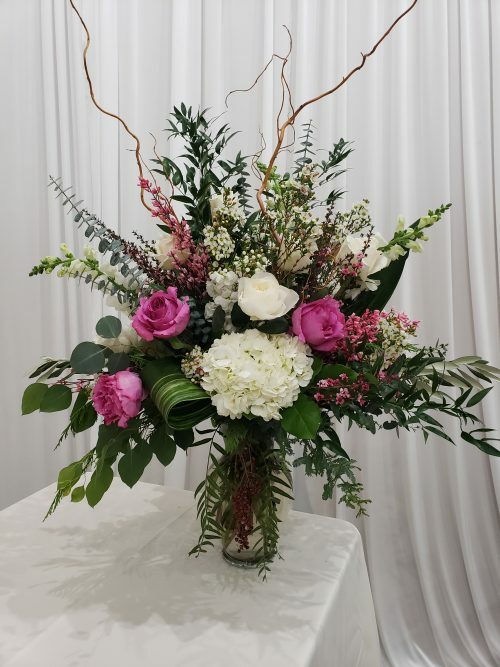 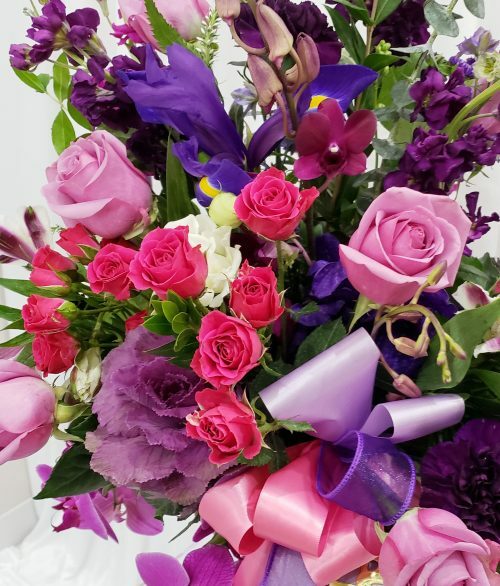 Designer’s choice on flowers, please specify any preferred flower types or colors.